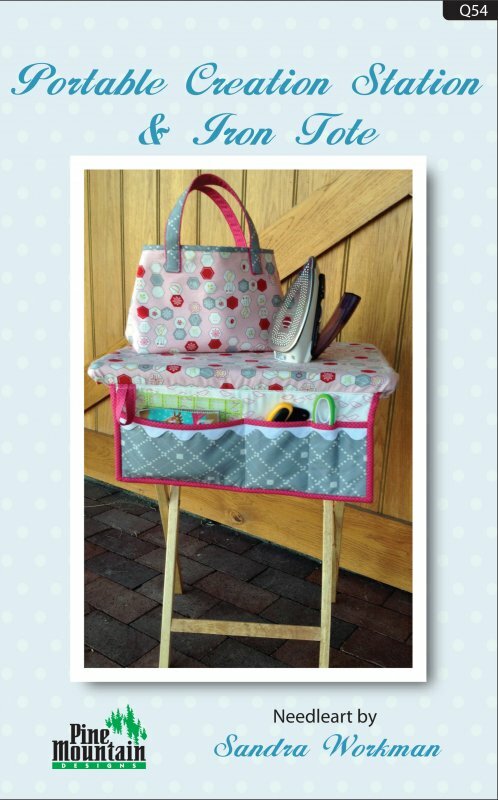 Using a TV tray you can create this versatile portable creation station. Take to quilting classes, sit by your side as you sew at your machine, you'll be asking "where have you been all my life". The pattern also includes the iron tote, lined with heat-resistant fabric for transporting your hot iron from place to place.